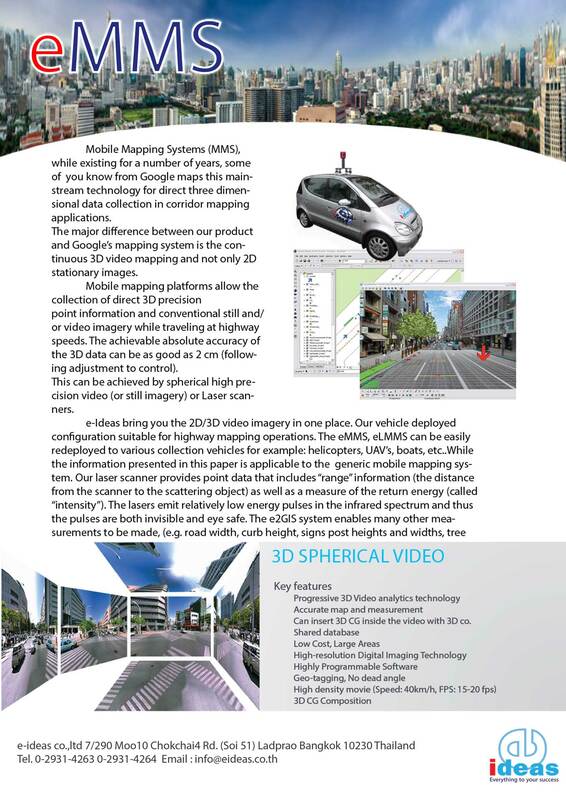 E2GIS converts the output from the Ladybug3 into a 3D Geo-spatial Video. Thereafter computer graphics are then used to add attribute details and create an accurate, highly interactive map of the targeted environment. - Cadastral and Mapping departments etc. 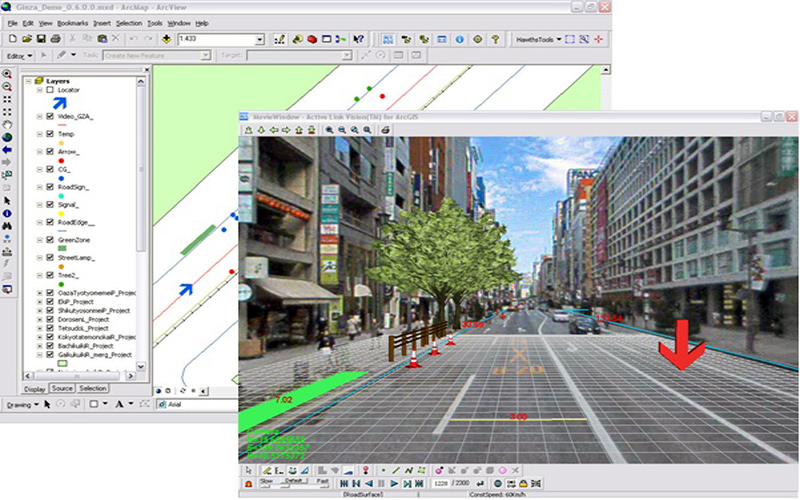 - Active Link Vision (ALV) for Arc GIS, Web ALPF for Web and SDK for Both Desktop and Web Application. - Output to ESRI software (via Shape file or ASCII file or Geo database formats) But the e2GIS system provides MUCH more than this. - Computer generated design work (e.g. new bus lane, new road markings, new signs, pavement re-alignment,) can be added and viewed from all directions. - Landscape visualization (existing, plus any planned changes). - Direct access to asset data from one click of the video screen. Thus the user can intuitively and rapidly access the data. NOTE – This is in addition to the 'traditional' GIS method of access to the data via a point on a map. - Visualization and computation of inter-visibility at accident black spots. - Data outputs can be formatted for input to many other systems. - The survey can be viewed from all directions – including plan view (ideal for manholes and gullies – upwards (all building elevations are captured and heights are measurable), tree heights, widths, trunk diameters, road sign – full sizing is possible. There is no 'blank area'. - Transport planning bus routing, amendments, taxi/bus lanes, cycle routes etc. - Design – new roads, amendments to road, pavement, surrounding environment. 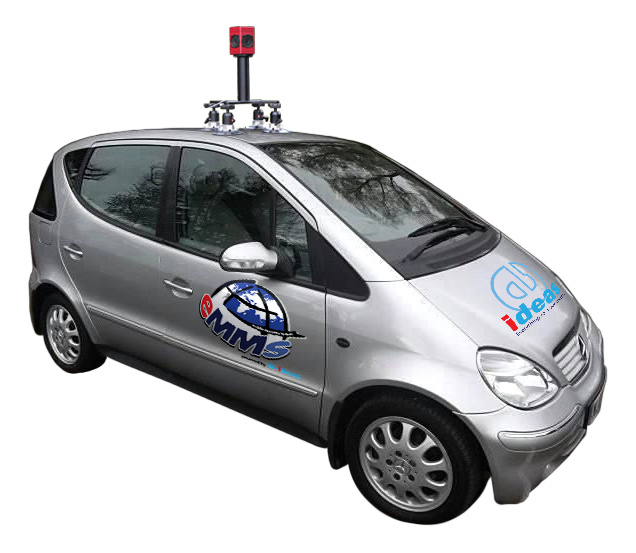 - Data Acquisition: The e2GIS Mobile mapping system comprises a solid state 360 degree 'video' imaging acquisition system (6 CCD lens). It also has verticality / inclinometer sensor, GPS and other sensors. The Maximum resolution of the camera is 5400 X 2700 and we offer an optimal resolution of 2800 X 1400.